Learning craft skills is becoming more and more popular now with scrapbooking and cardmaking becoming a great hobby and way to make unique gifts that people will treasure for ever. 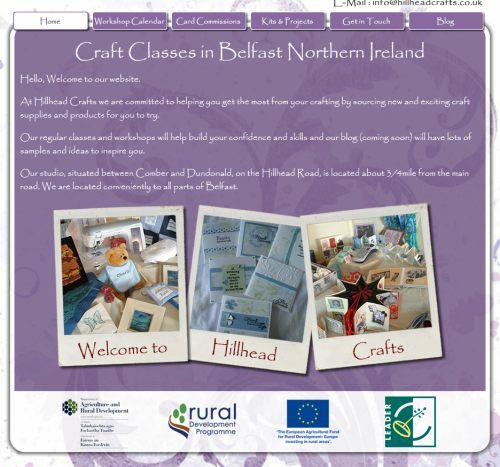 Hillhead Crafts based in Dundonald run a series of unique and inspiring craft courses from their premises between Comber and Dundonald. We’ve build a website for the company to inform customers about the huge array of courses available, the website also allows customers to book and pay for courses online.